Goodreads and Proof Copy and Publishing Name, Oh My! I ordered a proof copy of It Took a War today!! I cannot possibly wait to hold it in my hands! 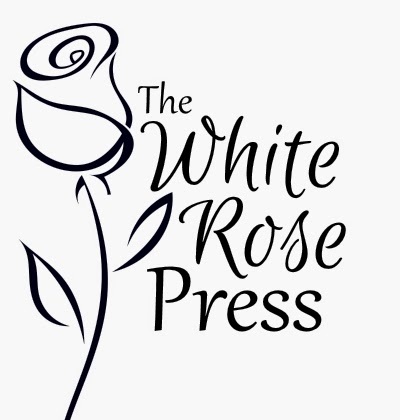 My publishing name is called The White Rose Press. I came across this name after reading about a German resistance group during WWII called, The White Rose. Hans and Sophie Scholl, who with other university students and their professor, wrote and distributed anti-Nazi leaflets. They were caught and sentenced to death. Their courage for standing up for truth, and their faith in God really inspires me. So, that's how The White Rose Press came to be! YES! I wish I could spend a few years of my life on a Hans and Sophie Scholl awareness tour : ) In other words, I love the name and logo. GREAT JOB! Also, great publishing name. I love how it has a story behind it. Love it! =D Congrats again, my friend! Have a blessed Thanksgiving! Congratulations on a wonderful accomplishment. Looks like you've got a good marketing strategist.